Small ship cruise line Windstar Cruises will expand its fleet from four to six ships in May 2015 with the addition of two vessels from Seabourn. Recently Windstar Cruises announced the list of changes it plans to make to the two vessels to align them with their brand. Windstar will take possession of the first Seabourn ship on 15 April 2015. It will undergo an $8.5 million (£5.6 million) renovation over the course of three weeks in Genoa, Italy before débuting as Star Breeze during a christening ceremony on 6 May in Nice, France. The second vessel will join the fleet on 4 May 2015, and undergo a similar $8.5 million (£5.6 million) renovation before being christened Star Legend on 25 May in Rome, Italy. Both yachts will have a capacity of 212 passengers at double occupancy. Upgrades to the suites, public areas, and dining venues will be made as part of the renovation works. The public areas will receive updated décor, complete with new and more modern upholstery, lighting, wall coverings, carpeting, ceiling finishes, window treatments, and floorings. A contemporary colour palette will be used that will combine sand and marine shades to contrast with the warmth of wood finishes, thereby creating an up-scale, nautical feel. All restaurants will be transformed as will every one of the 106 suites which will receive a modern colour palette of vibrant blue hues, rich brown tones, and opulent greys. Windstar is also planning a $3 million (£1.9 million) additional renovation of Star Pride in April 2016. 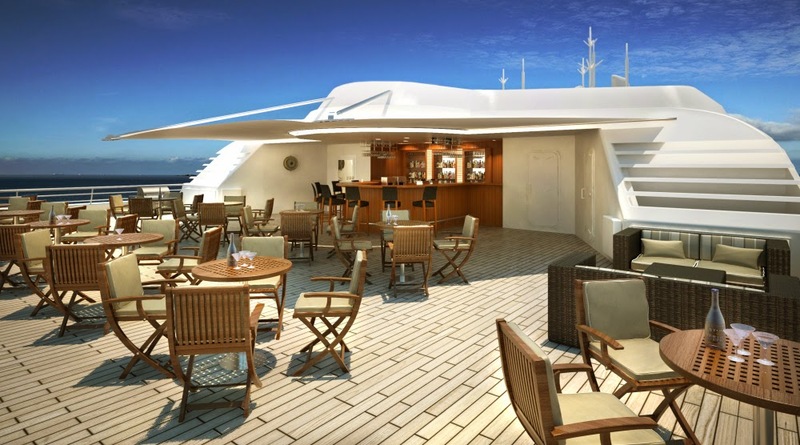 Star Pride joined Windstar’s fleet from Seabourn in May 2014 following renovation works.